Together for the 1st time! Fine, limited edition art from 2 hilarious TV shows. Celebrate the craziness that is Comic-Con! 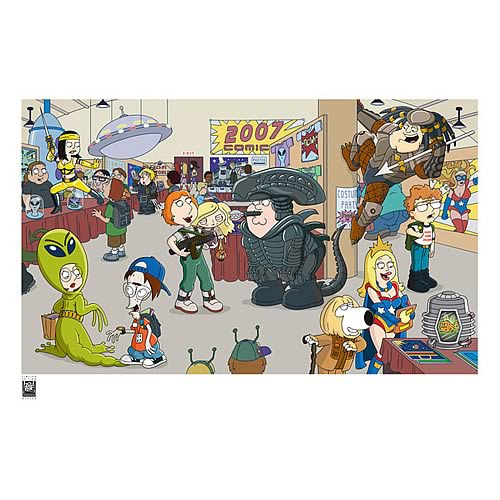 For the 1st time, Family Guy and American Dad come together in this fascinating piece that was created to spotlight and celebrate the craziness that is Comic-Con. Limited to only 250 pieces, the unique giclée measures 13-inches tall x 19-inches wide. It's a brilliant melding of humor and aesthetics that will look terrific on your wall!